We always welcome guests to the guild. Join Mark in this exciting and informative program and share his tips and techniques that anyone can use to create world class wedding images. Learn Mark's trick for capturing award winning wedding images and portraits using a single, inexpensive, automatic flash. That's right AUTOMATIC. It's not TTL, but it is magic!...and consistent. Many people will actually go online to purchase this flash right from their seats in the program! Off camera lighting, without external batteries, umbrellas or other equipment and NO METERING. Special effect flash tricks using the same automatic flash. Simple, quick and effective posing that works on men AND women. Cheap insurance to protect you and your equipment from unforeseen problems. Raise your worth in the eyes of the client. Sell the CD or not? Which makes the most money? You'll be surprised. Simple and easy ideas for creating quality portraiture. Learn the dangers of Raid style backup and how to keep your storage costs down with a simple on-Raid backup solution. Learn how to prevent file truncation (file corruption) in camera. What to do if you lose the images from the wedding through hard drive crash, theft, fire or any other reason. Mark McCall had one of the very first fully digital studios in Texas and currently operates a boutique studio in historic downtown Lubbock specializing in wedding, portrait and commercial photography. Mark is a Master Photographer/Photographic Craftsman and one of only 30 photographers to hold the Full Fellowship Degree from TPPA. Mark McCall Photography was voted “Fastest growing business in Lubbock Metro” four years running by Fiest Publications 2002-2006. Mark has 15 images in the Loan/Showcase collections and is a 5 Time Photographer of the Year Award Winner. Mark is also a 5 time An-Ne Award winner for excellence in photographic marketing, and is TPPA's resident expert on digital capture, workflow and technical issues that face digital photographers. 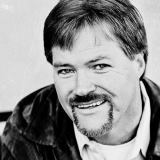 On the photographic political front, Mark is the current President of the Texas Professional Photographers Association, webmaster for Texas School and SWPPA, sits on PPA’s Certification Committee, is a TPPA Councilor to PPA, and an all around nice guy!